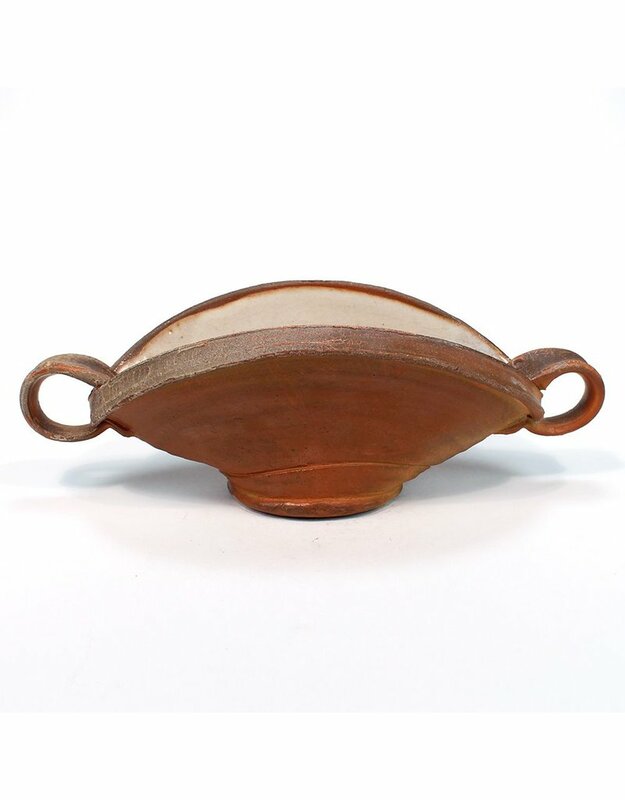 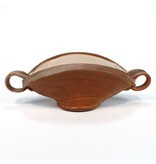 This olive trough-like bowl is wheel thrown, altered, and wood fired. 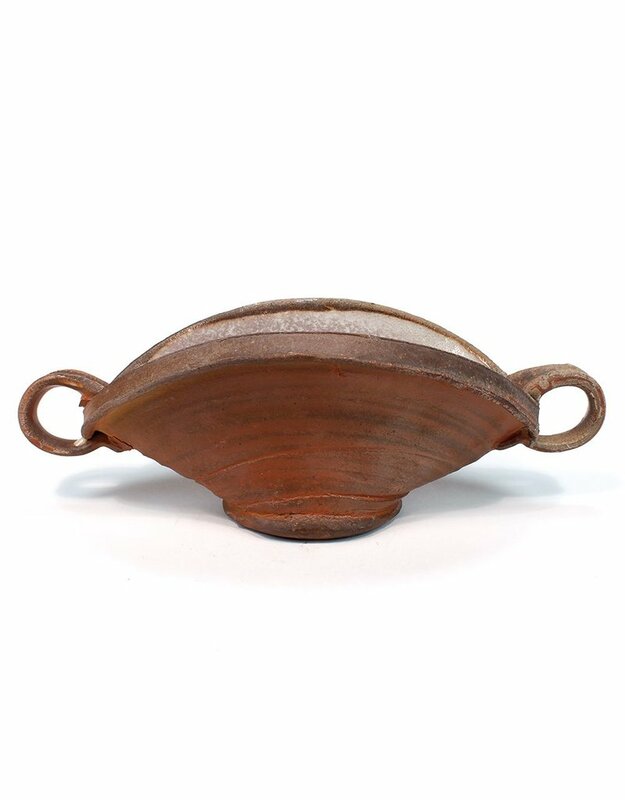 The atmospheric firing gives the piece a beautiful rustic finish along with a soft speckled pink interior that is more prevalent on one half than the other. 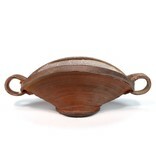 Use to hold olives, fresh herbs, or nuts.